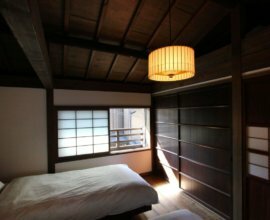 A machiya house that embraces the idea of “wabi-sabi” (the art of finding beauty and pathos in simplicity and imperfection). 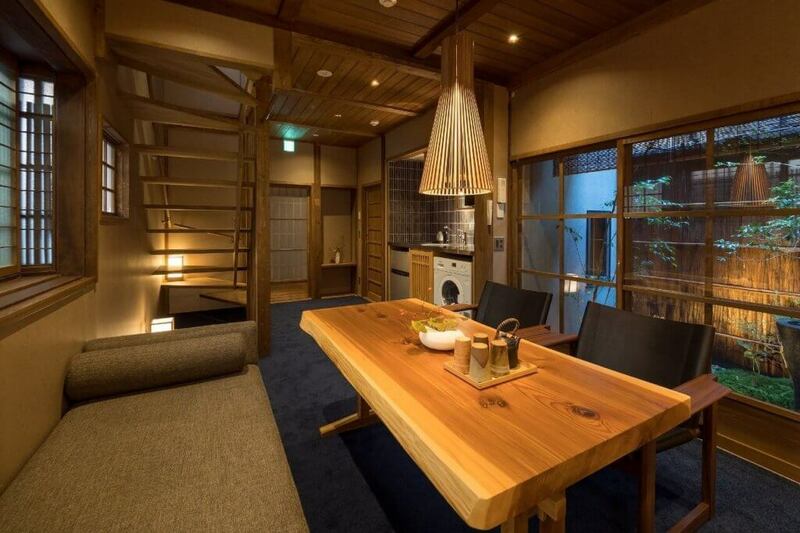 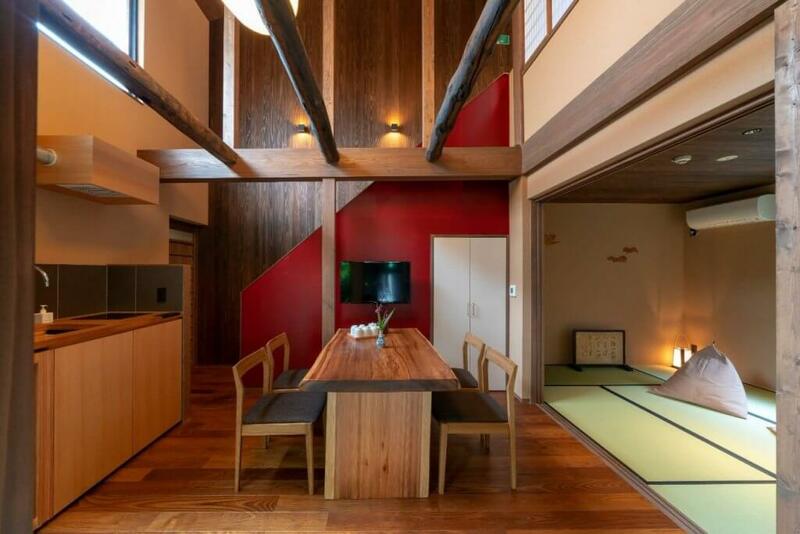 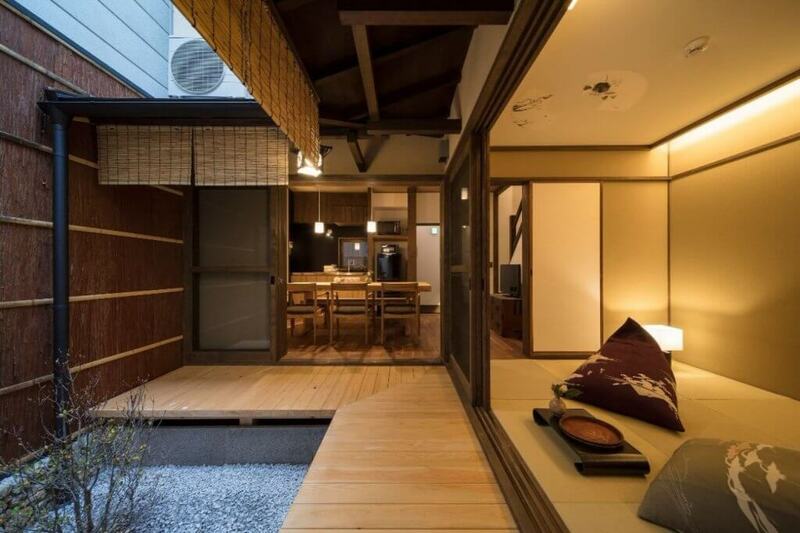 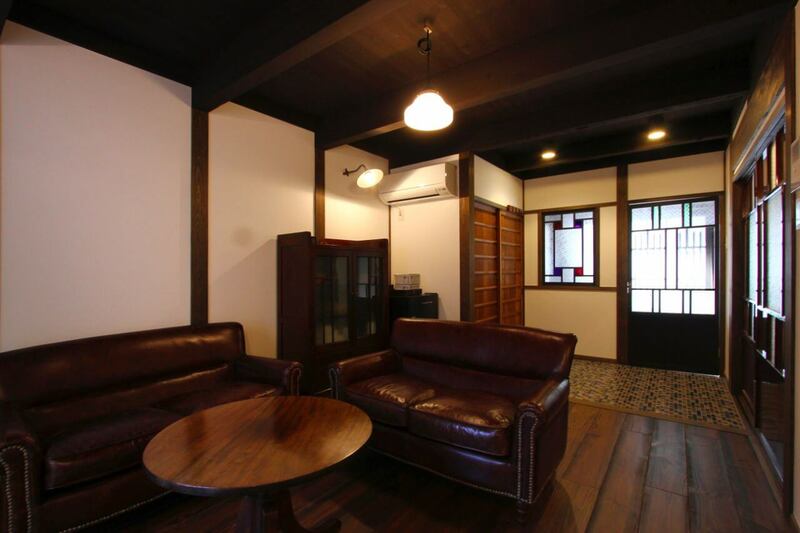 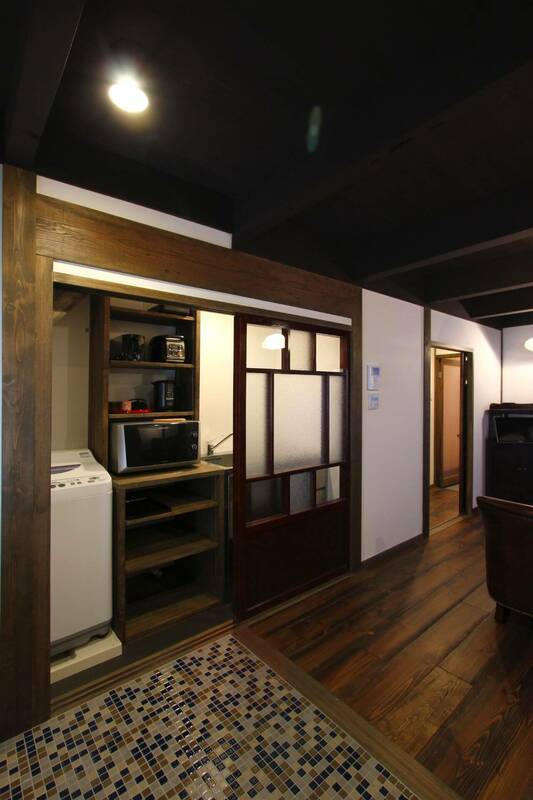 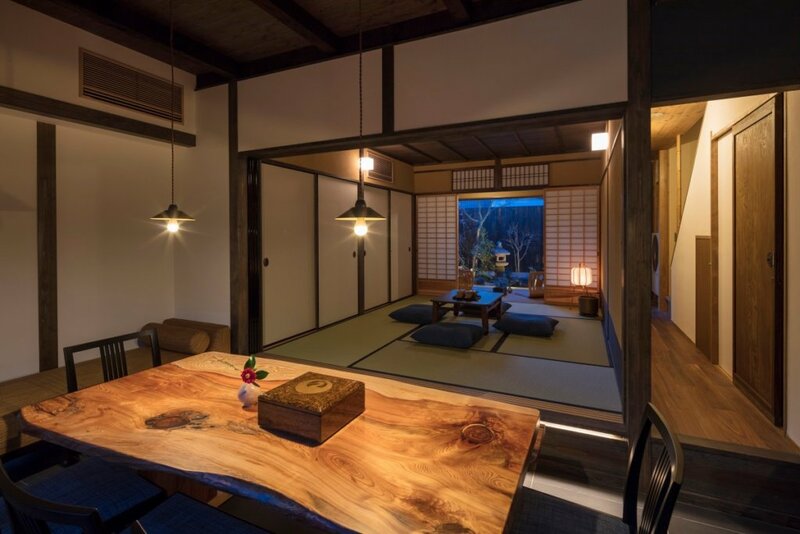 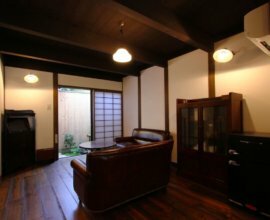 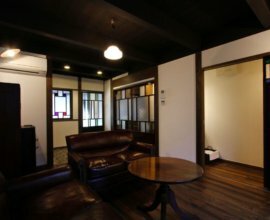 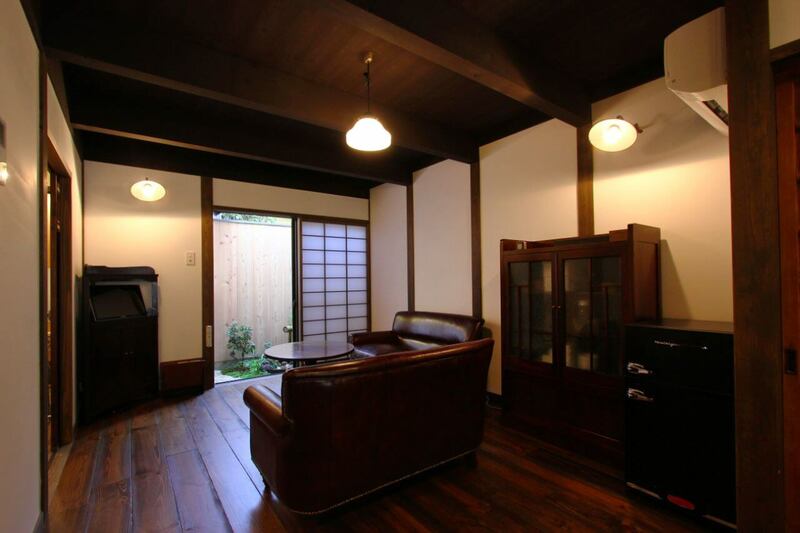 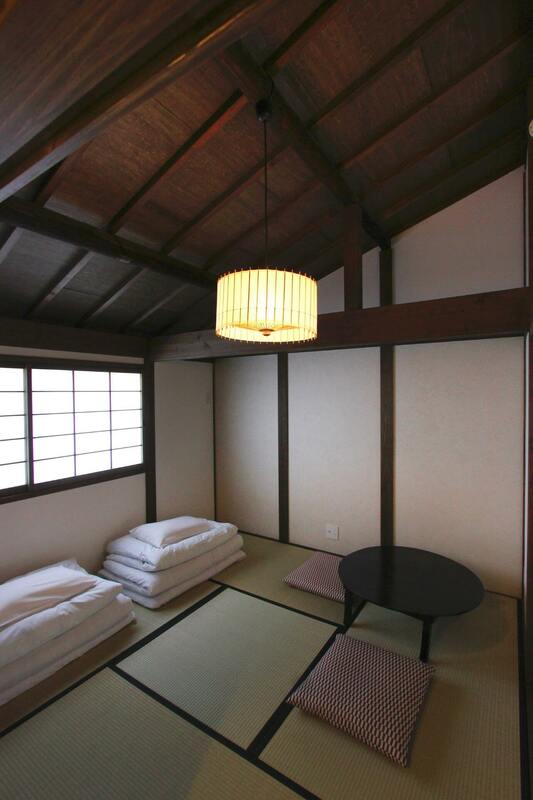 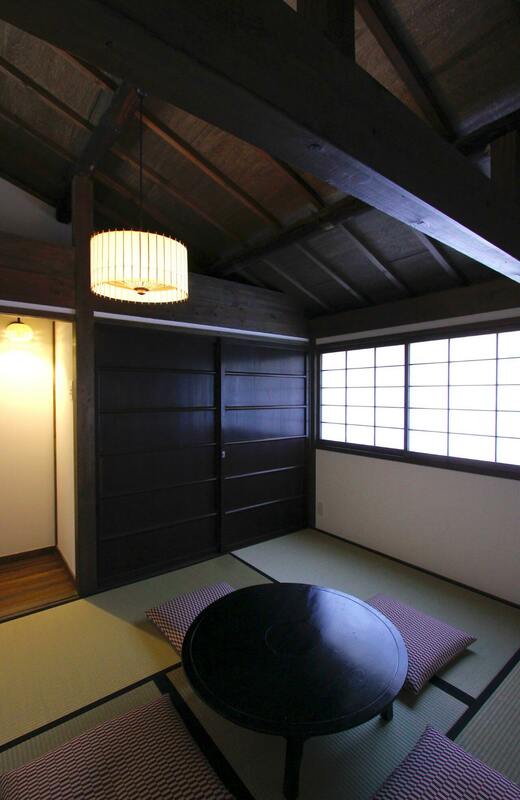 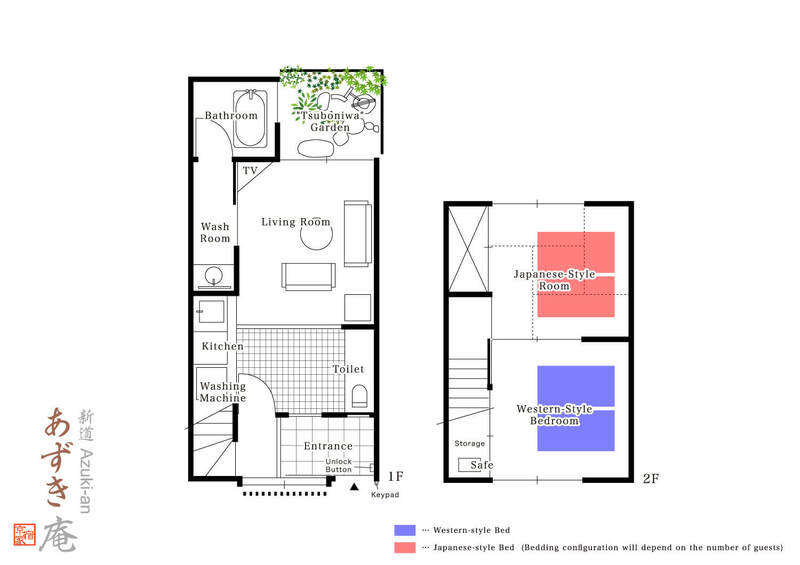 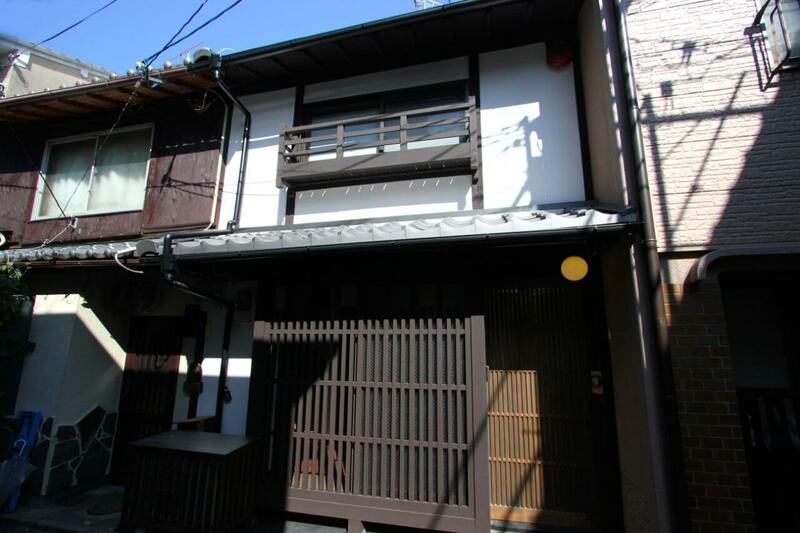 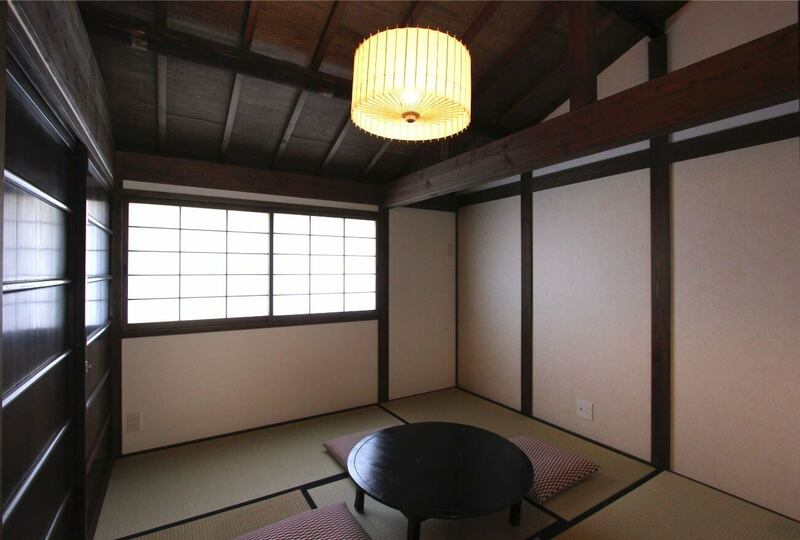 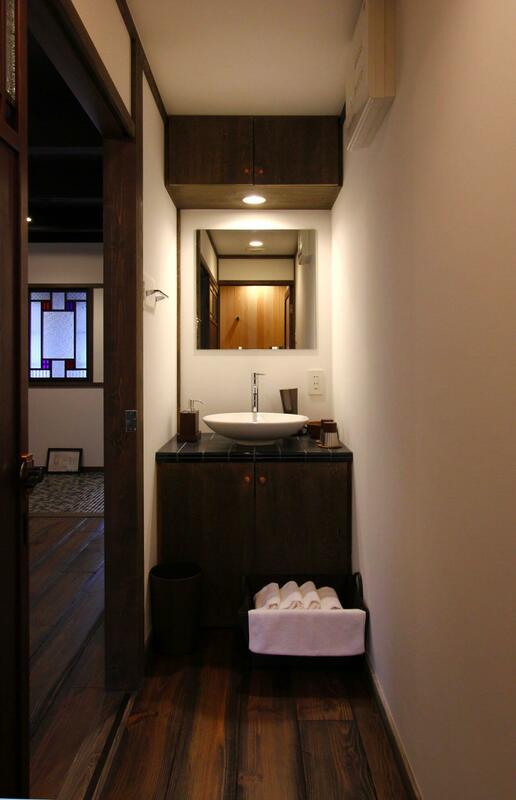 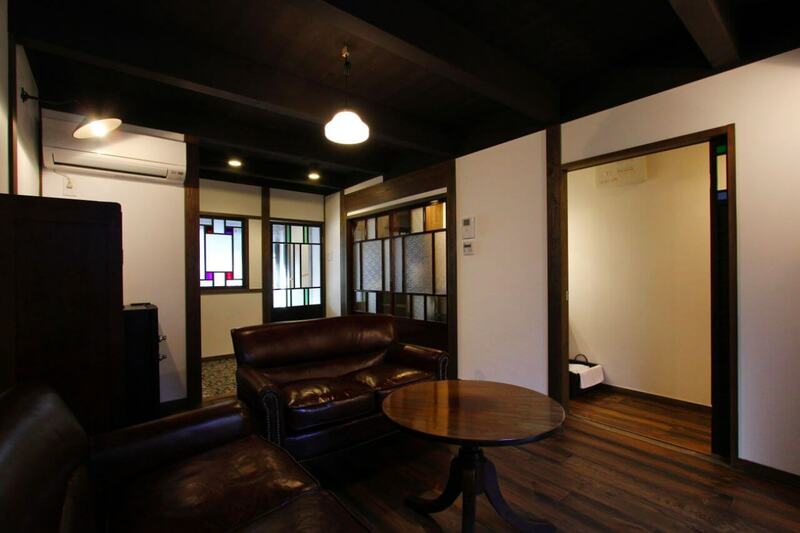 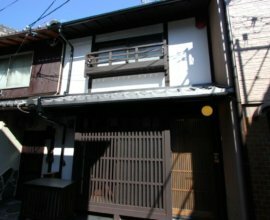 This traditional townhouse is ideal for anyone looking to truly explore Kyoto. 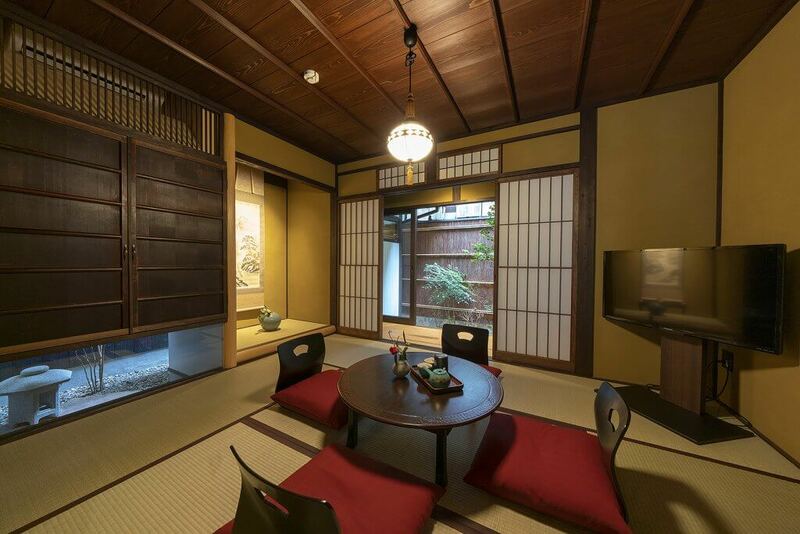 Surrounded by the history and elegance of Kyoto, "Azuki-an" blends well with the surrounding traditional townscape. 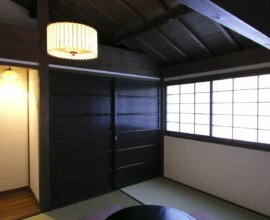 The exterior incorporates dark brown latticework, white plaster walls, and Ichimonji-gawara (roof tiles resembling the kanji character "一") to revitalize the traditional design of the Kyo-machiya. 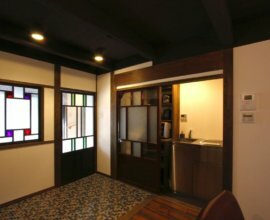 Enjoy a stay in a comfortable space that exemplifies the beautiful unity of modernism and tradition. 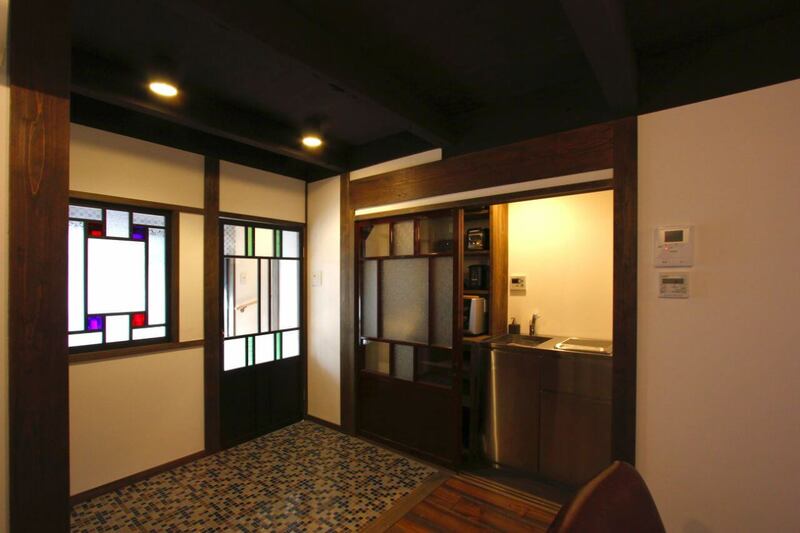 Beautiful glasswork From the entrance, notice the colorful mosaic tiles decorating the space. 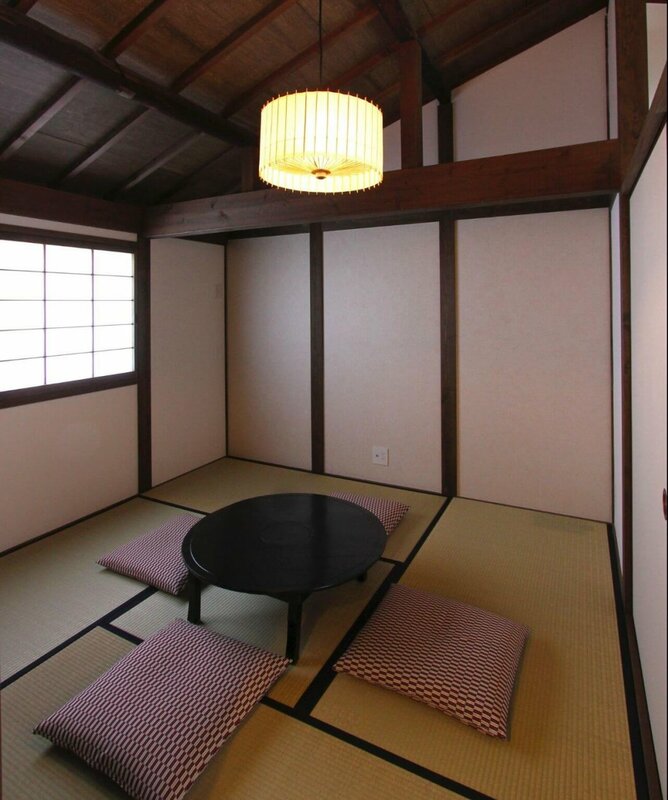 These custom-made glass pieces reminiscent of Taisho period designs add playfulness to the home. 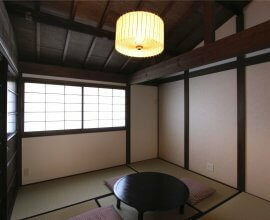 Living Room The glass windows and doors are arranged to allow natural light to shine into the room. 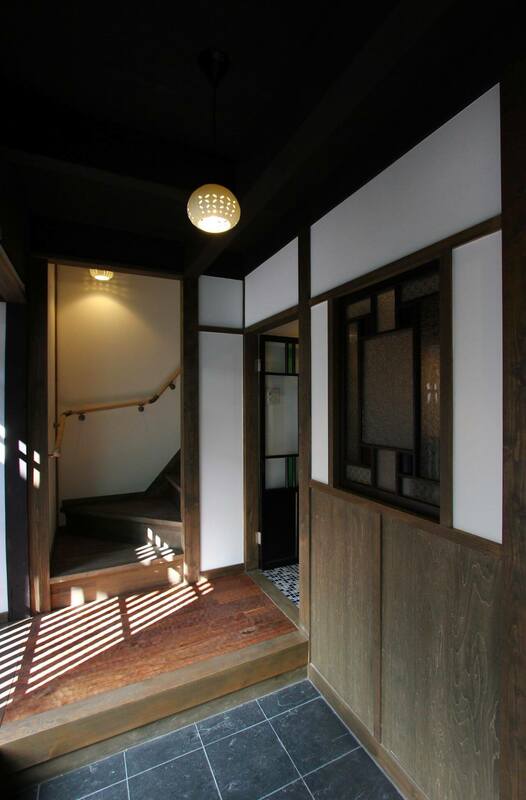 The complementary mosaic floor tiling is a brilliant expression of traditional architecture. 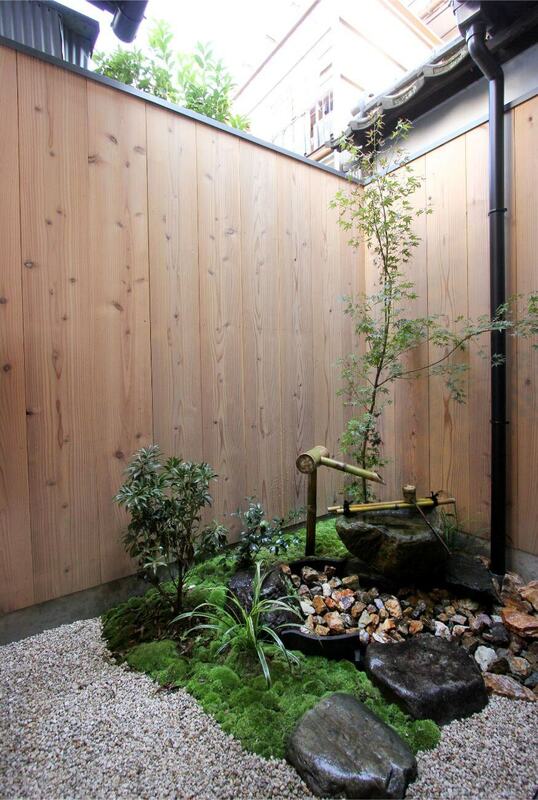 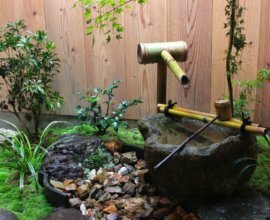 Garden From the living room, enjoy the view of the ‘tsuboniwa’ inner garden complete with a stone 'tsukubai' washbasin, fresh Japanese greenery and stepping stones. 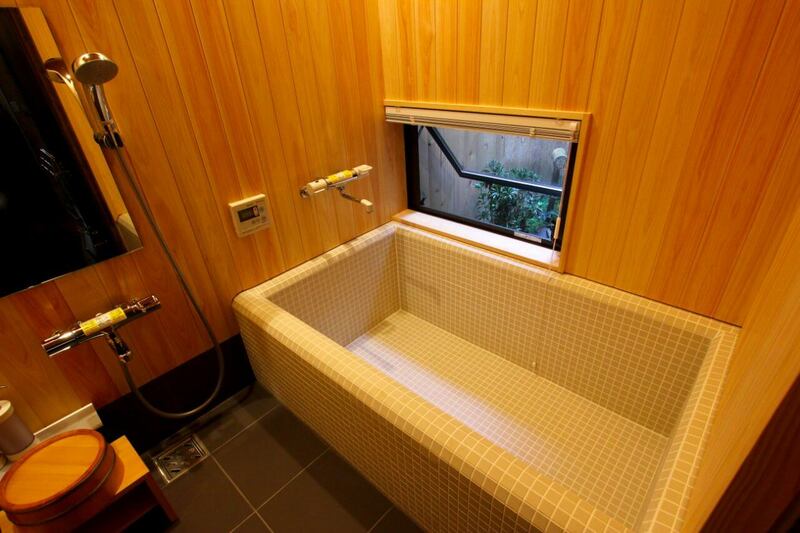 Bathroom With a garden view, enjoy the custom-made bathtub designed with white mosaic tiles. 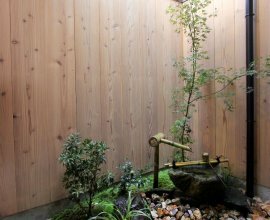 Fragrant ‘hinoki’ cypress wood creates a soft ambiance to heal the mind and body. 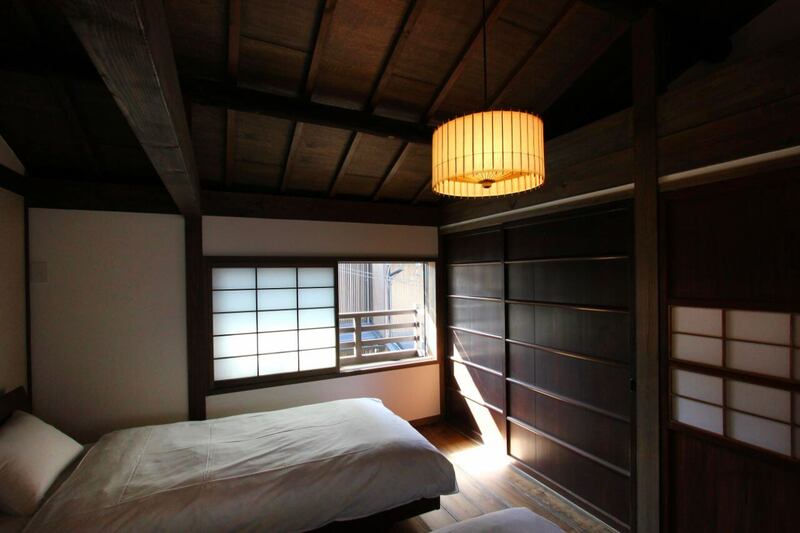 Western-style bedroom Appreciate the traditional architecture of the exposed ceiling. 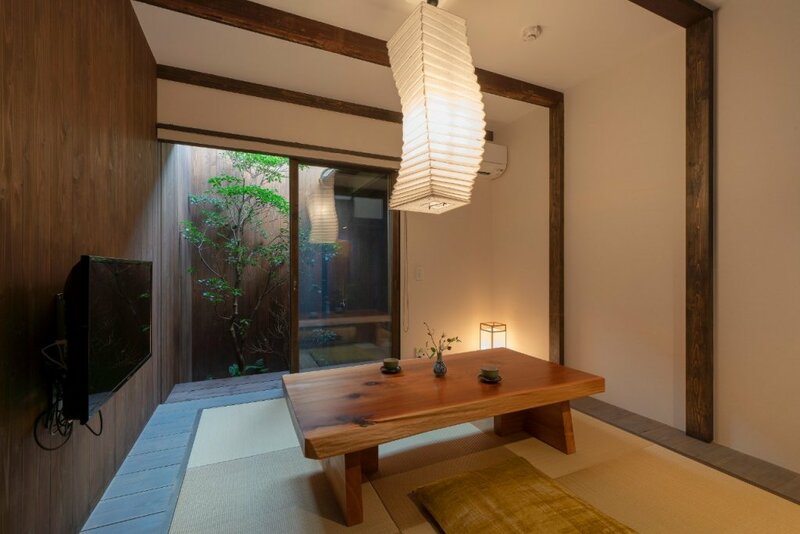 The hand-made light shade is reminiscent of a traditional Japanese ‘washi’ paper umbrella. 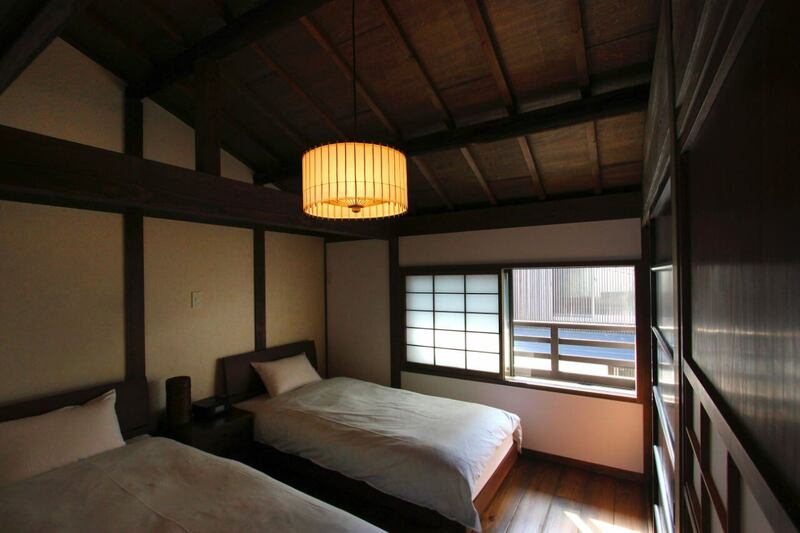 Japanese-style bedroom The adjacent Japanese bedroom has tatami mats and dark, mahogany woodwork. 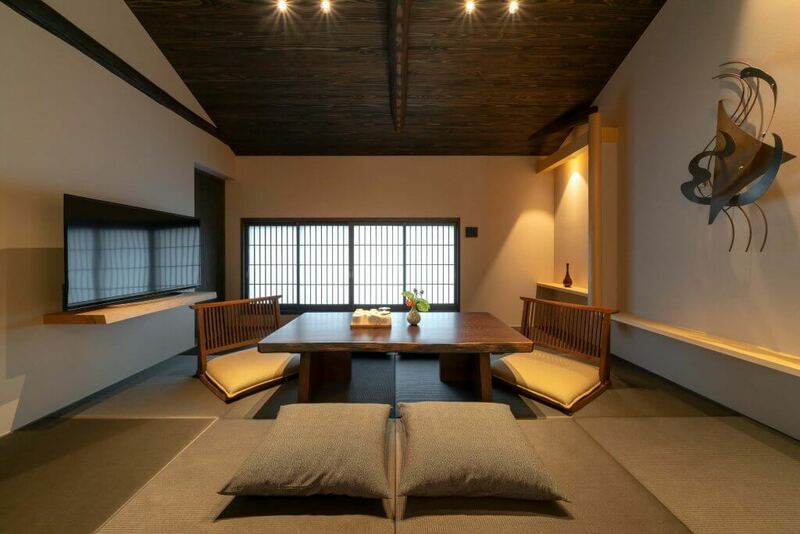 The windows are covered with ‘washi’ paper to allow beautiful natural light to fill the room. 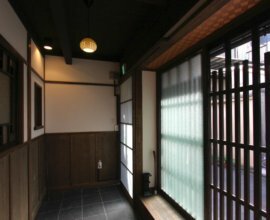 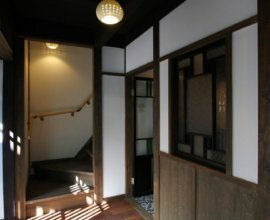 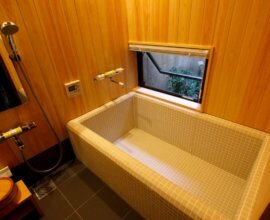 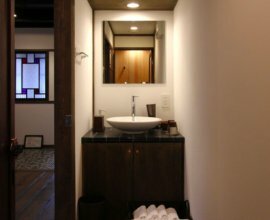 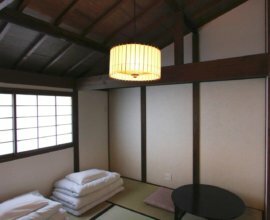 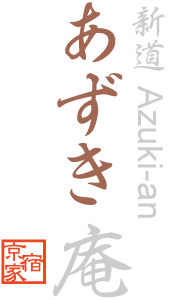 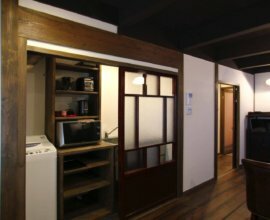 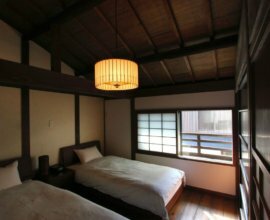 There are countless sightseeing attractions, all within walking distance, during your stay in "Azuki-an" machiya house. 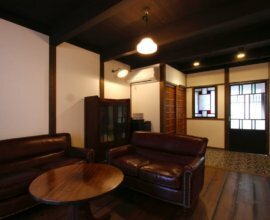 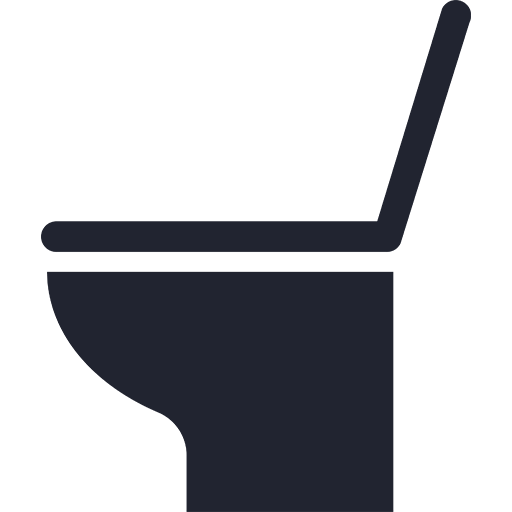 From the most well-known sightseeing attractions, to the backstreets of this historical city, you'll be able to explore the city inside and out. 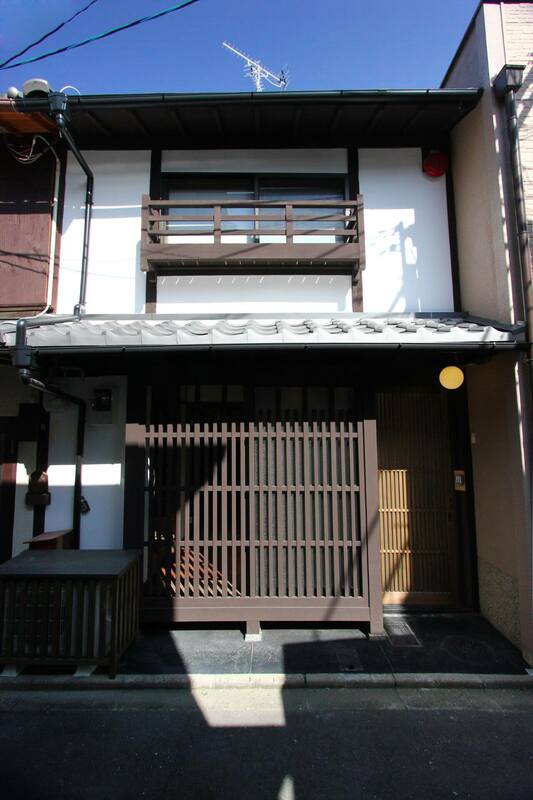 Just steps from home, find the beautiful Hanamachi or Geiko & Maiko street with preserved traditional achitecture. 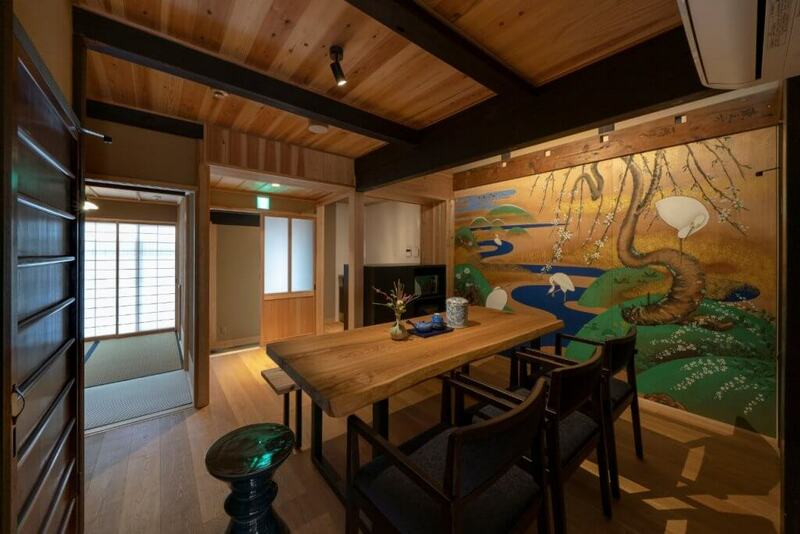 A 5-minute walk from home brings you to the Kamogawa river and Takasegawa river. 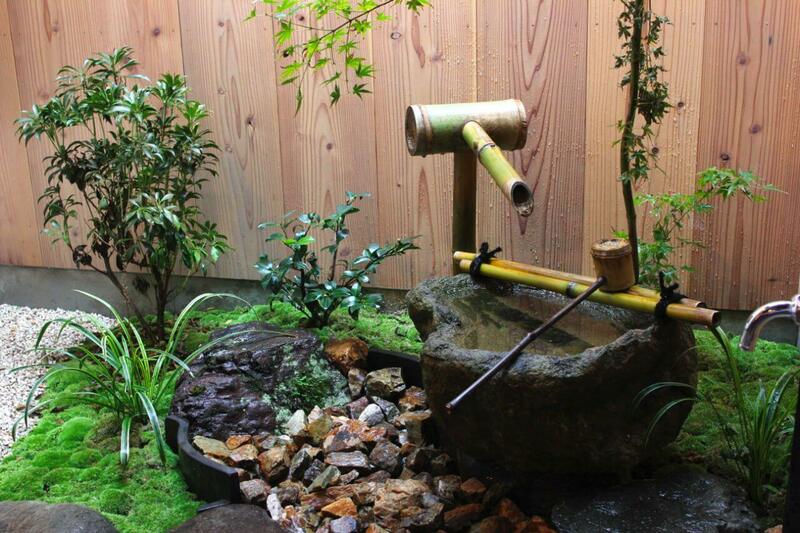 If you travel slightly south, you will find Kenninji Temple with with its national treasures and Japanese gardens. 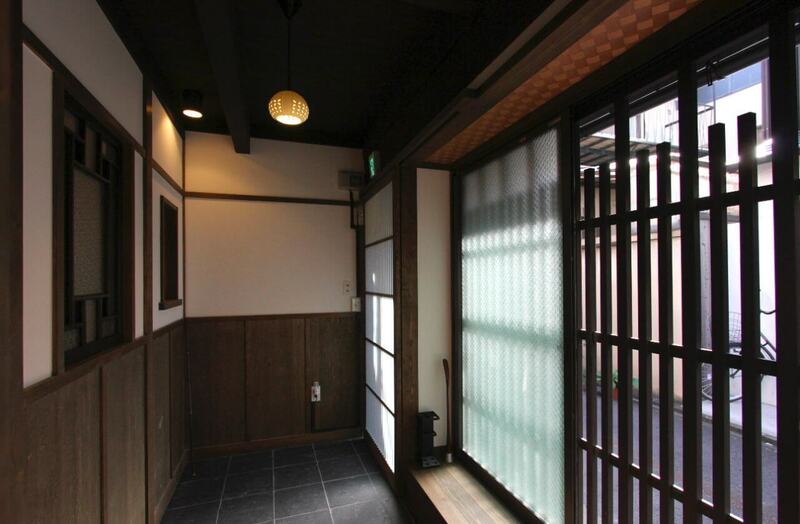 Walk across the river towards Ponto-cho where you can enjoy 'kaiseki' traditional course meals. 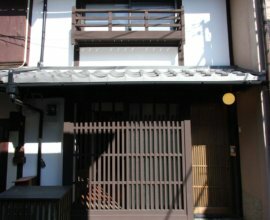 The neighborhood surrounding this house is full of local restaurants, and long-established shops selling Kyoto sweets, in addition to modern cafes and restaurants.